She raised her head, sweeping through her, her feet feeling numb. ‘I don’t have my passport’. This is the story of a 28-year-old Shweta, who had just been married for a couple of months and moved to the US. Little did she know that her husband had a bipolar personality and could be extremely abusive at one moment and would forget all about it the very next moment. Finally unable to take it any more, she runs away from her husband’s home in an attempt to save her and finds refuge in a small Mexican restaurant. The restaurant owner, Julie a very warm woman, offers to employ her and provide a place to stay while she gathers money to go back to India and to her parent’s home. However, unexpectedly her brother is planning to get married shortly and she just has a very little time to arrange a trip back. Her family is unaware of the situation she has to run away from. Shweta is unable to convey her situation to them as she is scared on how her overbearing father would react. Further making her anxious, is the fact that he has just recovered from a heart attack. Somehow she finally does manage to get back to India with her roommate and friend, Max and that’s when all hell breaks loose. Just before she reaches, when her parents find she had run away from her husband’s house. Being from a conservative family, they want her to get back and amend ways. Shweta is scared and is pulled further into a dilemma when she finds herself attracted to her elder brother’s best friend and her childhood crush, Niru. Will she have to sacrifice herself and her esteem to uphold the family’s honor? Or will she be able to take a stand for herself and earn love and acceptance by her family? Will she be able to pursue her happiness? 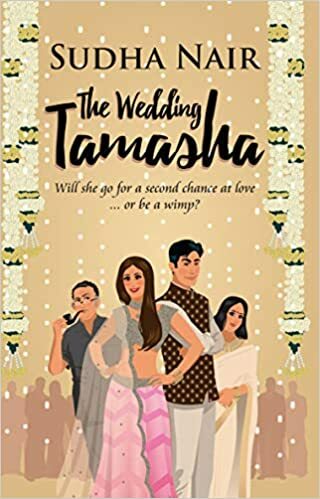 Read The Wedding Tamasha and find answers to these questions!